The third book in the Dulcie O'Neil series is just as amazing as her last two books in this series, if you liked the last two you'll adore this one. It seemed a bit shorter to me, but maybe that's because I anxiously read till I was finished. To give you a bit of the plot line without giving too much away it starts out with Dulcie and Knight going on a date, a date where Knight invited Dia the Diva, Sam (her best friend) and Trey (the goblin who she used to work with at the ANC). Basically, Knight sacrificed his date with her because he was being sweet and felt like Dulcie deserved a night out on the town with friends with all the stuff she's been going through lately. Dulcie decides to give Knight a chance on the whole relationship thing and its pretty sweet but an encounter with Jack (her ex) leaves them not speaking to each other. A few days later Sam calls her on Monday and asks if she knows where Knight is because he's missing! Needless to say, Dulcie discovers that Knight has been taken to the Netherworld for failing to apprehend Quillan. Of course Dulcie cares about him and she decides to go after him, thinking if she admits it was her fault then they'll have to release Knight and keep her instead right?! Dulcie experiences the Netherworld for the first time, and let's just say its not an experience she'd care to repeat. The Netherworld is alike in the aspect that they have the ANC and creatures of all sorts there but what Dulcie doesn't count on is being extremely attractive to all the citizens out there because Fairies are so rare. Dulcie made a deal with Bram to go with her and Bram comes up with the "conditions" she has to abide by if she wants his help. I was pretty shocked at the conditions, just like Dulcie was I imagine. Brams there as her Guardian and protector since Dulcie has never been there before and she'd get eaten alive on her own. As I was reading, I felt like someone was going to betray her and I was just waiting for the finger to point to that person...but the betrayal only comes near the end and its NOT like anything you'd ever imagined. Pay close attention to the plotline when she enters the Netherworld and what she's thinking about and you might hazard a guess at it, but I doubt it. Great Hexpectations is an intriguing, heart in your throat, enticing read that will leave you screaming at your kindle when you're done going "WHEN IS THE NEXT ONE?!" Going to go and try to make this page a little nicer! 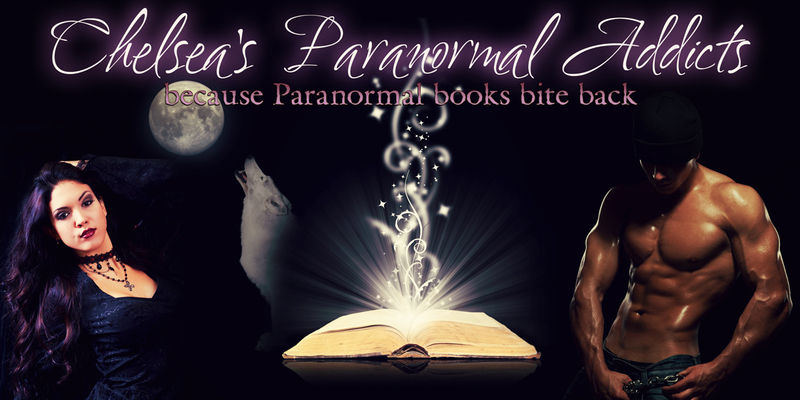 Come see us on Facebook and feel free to check back for Book Reviews in the Paranormal Genre!